Buy One Canvas and Get a Second for 90% Off! Or get 30% off any size canvas print. Offer expires May 1st, 2019. Turn your pictures into large canvas prints. RoyalCanvas has amazing prices, super fast shipping, and great customer service. All Sizes Canvas from small to huge. Hand Crafted Canvas prints made in the USA. Amazing Quality No questions asked return policy. Create large multi-image collages on canvas. Make your own large canvas collage from multiple photos. Custom text can be added to your canvas. Multiple fonts and styles gives you the freedom to create truly customized canvas designs. Motivational template canvas designs. Customized with the popular motivational and demotivational canvas designs. Custom canvas frames available. Choose from many frame colors. Is my photo large enough to print on canvas? 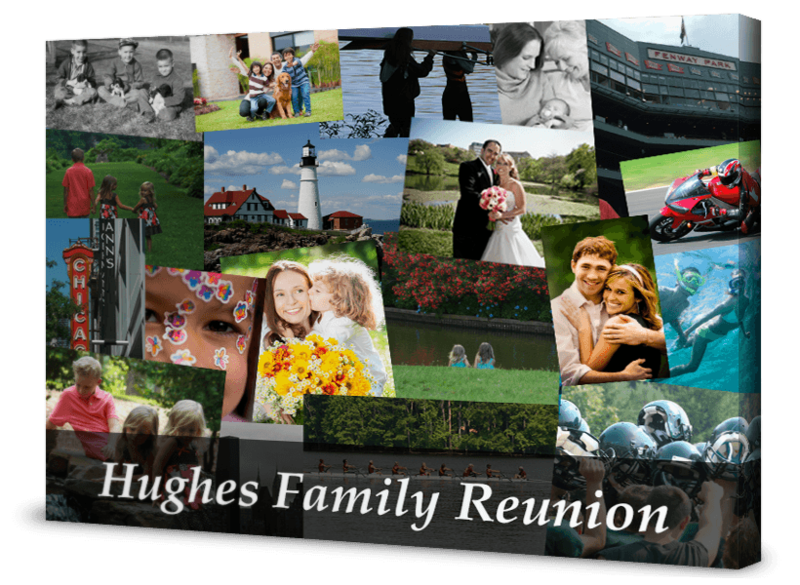 Our image enhancement process allows us to make almost every picture into amazing photo canvas prints. Can I be sure that my canvas will look exactly like it does on the website? The canvas preview tool at RoyalCanvas allows you to place your photo onto the canvas and get an immediate and accurate view of how your canvas will be stretched. Usually how long does it take until my canvas ships? The production time for a canvas averages 3 to 5 business days depending on the season and volume. 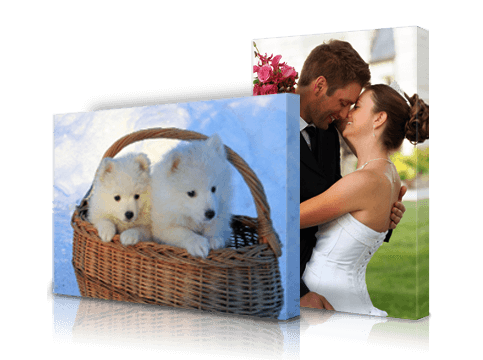 We do everything we can to get the canvases printed and shipped as fast as possible while also maintaining the highest quality standards. Dedicated and personal customer service. We pride ourselves on making sure you are more than satisfied with the quality of your canvas and our attention to detail in your service. We are avaiable 24 hours a day, 7 days a week. Pamela Goosen in Chilliwack, BC said... Just got my four canvas prints delivered to my house today and they are beautiful! Great picture quality and fast delivery! LOVE THEM and would definitely recommend Royal Canvas to others!!! Indyrocks in Indianapolis, IN said... Extremely happy with the quality of the products ordered. Several people have asked where we purchased the pictures and I have recommended Royal Canvas without hesitation. The site is very user friendly. Thanks and keep up the good work. Twyla in Canada said... They are both perfect - and much crisper, more beautiful color than the canvas supplier I had before you, better edging on the back and I don't think they're going to sag either. I am very impressed, you'll be getting orders from me again for sure!